Born at Regina, Saskatchewan on 19 April 1913, the oldest of five children, he attended Normal School then, in 1931, began teaching school in rural Saskatchewan. In 1935 he moved to Regina where he worked as a school vice-principal. In 1942 he joined the RCAF, served as a navigation instructor and later as an adminstrative officer. At the end of the war he was appointed to the staff of the Moose Jaw Normal School. He obtained leave and with DVA assistance attended Teachers College at Columbia University, New York. He obtained BA and BEd at the University of Saskatchewan and MA and EdD from Columbia. He came to Manitoba with his wife Myrtle in 1949, becoming Director of Research for the Winnipeg School Division No. 1. 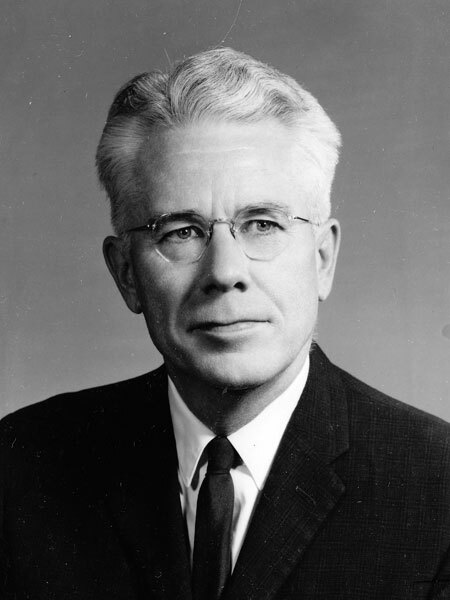 He served as Superintendent of Schools from 1953 to 1966. He was a tireless advocate for improvement in provincial education. Dr. Lorimer provided the leadership needed for the creation of special programs for the gifted, the mentally handicapped, the hard of hearing, the slow learning, the hospitalized, the home-bound and the emotionally disturbed. Under his leadership the first nursery classrooms in Manitoba were established in 1965. He played a key role in establishing a program of adult education in 1966 at Argyle School, and provided leadership to expand the services of the Child Guidance Clinic to include children in other school divisions/districts. He established the Manitoba Association of School Superintendents in 1956 and served as its first president. He was appointed Deputy Minister of Education in 1967 and served until 1978. He also served as chairperson of the Advisory Board in Manitoba’s Department of Education. In 1965, he was elected President of the Canadian Education Association. He served as a member and chair of the Universities Grants Commission, retiring in 1981. He was given honorary doctorates by the University of Winnipeg (1969) and the University of Manitoba (1982). In 2003, he was inducted into the Order of Manitoba. He was a past president of the Rotary Club of Winnipeg. He was a brother-in-law of John M. Brown. He died on 2 March 2010. “These Manitobans will help plan centennial,” Winnipeg Free Press, 13 September 1963, page 9. Obituary, Winnipeg Free Press, 5 March 2010. Winnipeg School Division, Education Resource Centre Archives, Administration photograph 956. We thank James Arnett for providing additional information used here.